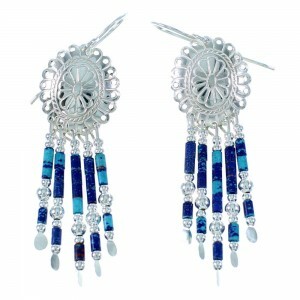 At SilverTribe, our azurite earrings capture the history and artistry of the Southwest. We carry only the finest azurite earrings available and use only the finest azurite stones, genuine sterling silver, and have access to the best artists in the world. We combine all these resources to bring you only the best azurite earrings at fantastic prices, so your dollar goes much further with SilverTribe. 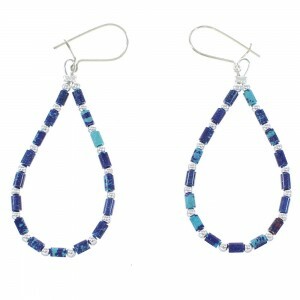 If you're looking for a dazzling pair of Native American earrings, consider a pair of our azurite earrings. We carry a great selection of popular styles designed by some of the best artists in the industry. Azurite is a stunning blue gemstone featuring streaks of green that create a beautiful depth and complexity in each stone. 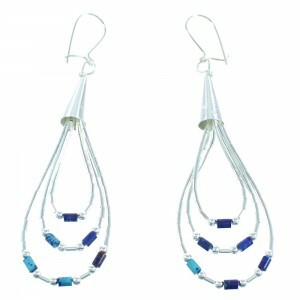 Cultures from around the world have used this stone to make azurite earrings and other items, but the tribes of the Southwest create some of the most sought after examples on the market today. Many cultures, including the Zuni, Hopi and Navajo tribes believe the stone carries spiritual powers. 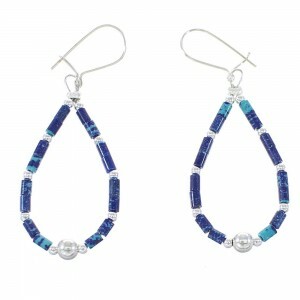 Some believe azurite earrings have the power to provide spiritual guidance, a better understanding of the world and the ability to improve consciousness. 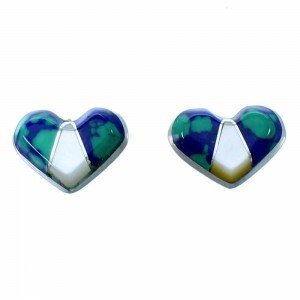 Of course, fashion is the primary reason customers choose us for their azurite earring purchase. 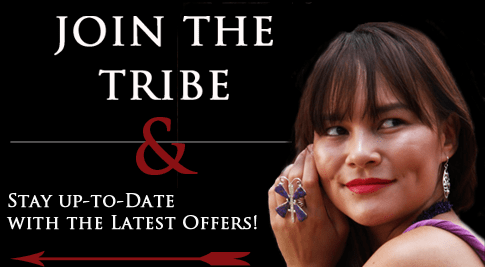 We have a variety of beautiful styles that represent the tribes of the Southwest and the artistry that has made this jewelry so popular for generations. Every item in our catalog is designed for beauty and durability, so you can rest assured that any product you purchase will look stunning for many years to come. 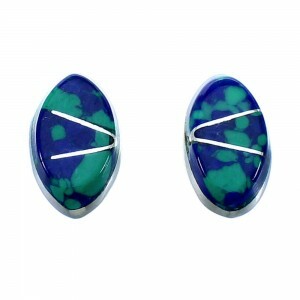 Browse our growing selection of azurite earring designs to find the perfect item for any occasion. We offer the best selection at prices you simply won't find anywhere else. Don't forget to sign up for our email list to get the latest exclusive offers and discounts.